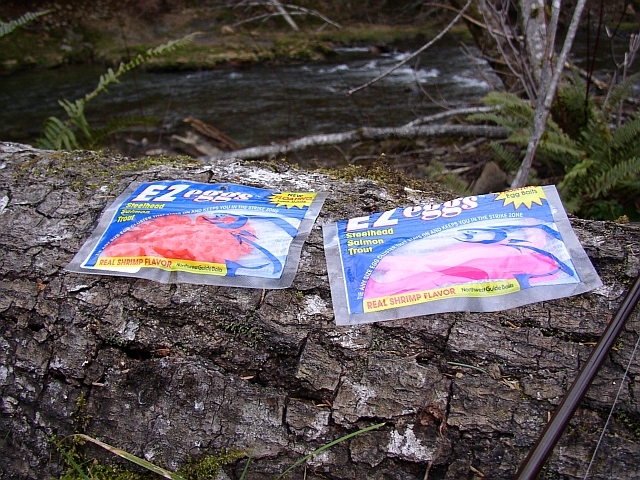 EZ eggs and EZ worms from Northwest Guide Baits, located in Olympia Washington, take soft plastic steelhead lures to a new level. I’ve been a fan of soft plastic eggs for years. Each brand has its niche, but all of the products I’ve tried previously had limitations. EZ eggs hits the perfect balance of size, floatation, color, tackiness and scent. 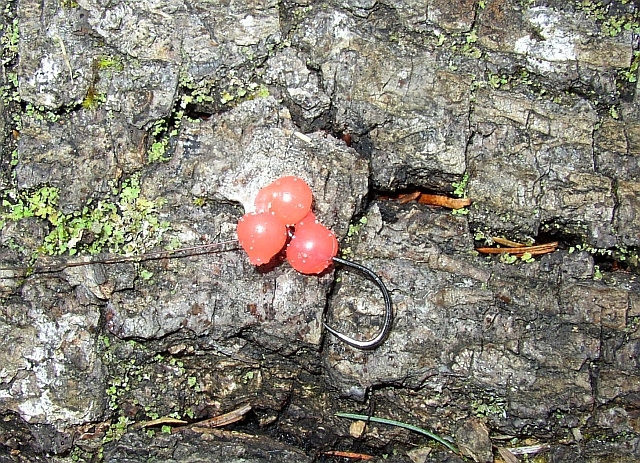 Size: EZ eggs come in a strand of individual salmon roe size baits. These can be used individually, in small clusters, or if desired, in full golf ball sized gobs a la the Tillamook Cocktail. EZ Worms are 6” long and can be easily trimmed to fit your application. Floatation: EZ eggs and EZ Worms are just slightly more than neutrally buoyant. This keeps your presentation in the zone longer. It also gives tipped jigs a nice level presentation. Color: EZ eggs come in six colors; Pink, Red, Orange, Chartreuse, Blue and even a Glow in the Dark White. 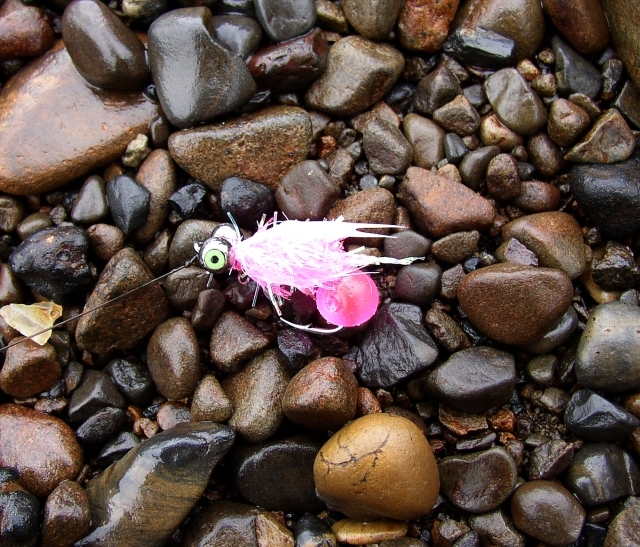 |EZ worms come in Red, Pink and Hot Pink. Tackiness: This is an often overlooked quality. Most soft plastics tend to slip on the hook. EZ eggs and EZ worms grip the hook and the line, keeping your presentation more natural. Scent: EZ eggs and EZ worms advertise themselves as having “real shrimp flavor”. I don’t know about that but their lack of any distinguishable plastic odor is a big plus. I recently put EZ eggs and EZ worms to the test in the most demanding of circumstances, cold, low, gin-clear water. These conditions can be maddening as the fish have lots of time to inspect and ultimately reject your bait. 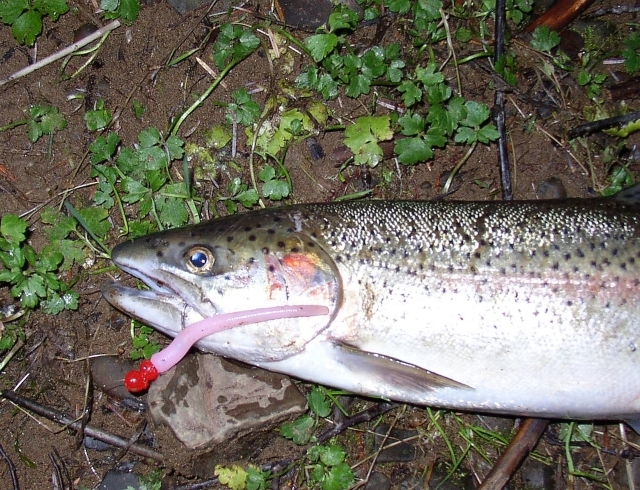 Worse yet, anything that doesn’t look, smell or move naturally will cause Steelhead to run for cover. While I didn’t break any records, I did manage one hook-up on an egg tipped jig under a bobber. This one didn’t stay on long as it threw the hook in a couple of seconds. Later, I picked up a small buck on a drift fished EZ Worm with two individual eggs for contrast. Towards the end of the day I had a large steelhead slam a string of drift fished eggs, nearly spooling me before breaking my 8lb leader. Not bad results considering the conditions. EZ eggs and EZ worms have definitely earned their own pocket in my fishing vest.